This parameter specifies the servo error threshold in encoder units (1-16) that determines whether the control will use full proportional gain or scaled proportional gain for the spindle. 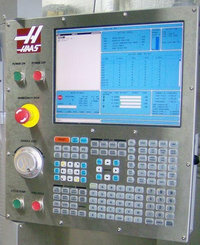 This parameter works in conjunction with Parameter 844. Both parameters should have nonzero values for the algorithm to work.